IOB, Indian Overseas Bank is one of the major public sector banks. Its headquarters is in Chennai, Tamil Nadu and is owned by Government of India. IOB started in 1937 and is nationalized from 1969. It has branches even in foreign countries, though the main operations are in India. Indian Overseas Bank provides variety of services and now internet banking, mobile banking and debit card users have increased. Users are able to check balance, pay utility bills, transfer funds and much more without reaching a bank. Paying someone means you have to add Payee/Beneficiary to enable net banking. 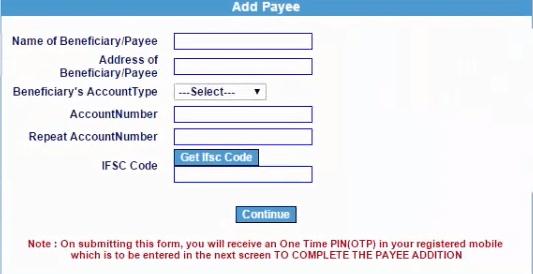 How to add Payee to your IOB Account? 1. Visit https://www.iobnet.co.in/ibanking/login.do, Login with your login ID and password to your internet banking account. 2. Go to 'remittances' from IOB internet banking index page. 3. From left pane, click on 'add payee' button and select 'IOB account'. 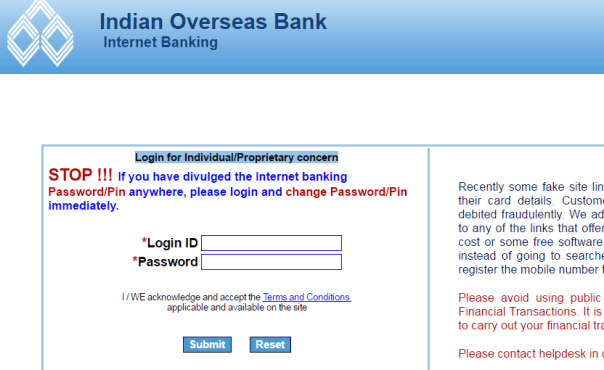 Note: Select 'iob account' to add Indian overseas accounts only. In order to add payee from other bank, you need to select another option. I will tell you the procedure in next steps. 4. Just Fill the required details Name and Account Number of the Beneficiary and click 'continue'. 5. After clicking you will receive an OTP number to your registered mobile number. This is to verify and confirm the Payee addition. Enter one time password and just on 'approve Payee' button. This process takes one working day. On receiving approval, you can transfer money any day, any time and they will get instantly deposited. 1. Open using Login ID and password, your internet banking website and login. 2. Select 'Remittances' and go to 'Add payee' option. Click on 'other bank account' and proceed further by clicking submit button. 3. Now you must fill more details about the Payee such as Name, Address, account type, account number and also the IFSC code of the bank branch of the beneficiary. After entering the details, you may click 'continue' button. 4. Now your registered mobile number will receive an OTP that you need to enter to confirm and complete the payee addition. Just click on 'approve payee' button, it will be activated with in 24 hours. These are the two ways of adding Beneficiary/Payee to your internet banking account. Now you can transfer money from IOB to IOB account and other banks account without any hassle. How to open a net banking account for a minor account. Click on get ifsc code and search your branch there. Otherwise, check your bank passbook. How to add credit card of other bank in it as a beneficiary, because Credit card has no IFSC code, which is compulsory filled to add beneficiary in IOB account. In my screen i can't see Remittance menu itself. Really frustrated. I have tried adding beneficiary in another bank from IOB internet banking . tried 10 times. the OTP does not come.. It is a hopeless internet banking site. Everyday tells to change pass word . Just time waste I am not able to add beneficiary in indian overseas bank.